Veterinary Infection Prevention and Control. Veterinary Infection Prevention and Control is a practical guide to infection surveillance and control in the veterinary setting. Outlining the steps for designing and implementing an infection control plan, the book offers information on both nosocomial infections and zoonotic diseases to aid the veterinary team in ensuring that veterinary practices and hospitals are safe for both the animal patients and their human caregivers. Veterinary Infection Prevention and Control provides guidelines to creating standard operating procedures for effective and efficient infection control in any veterinary practice. 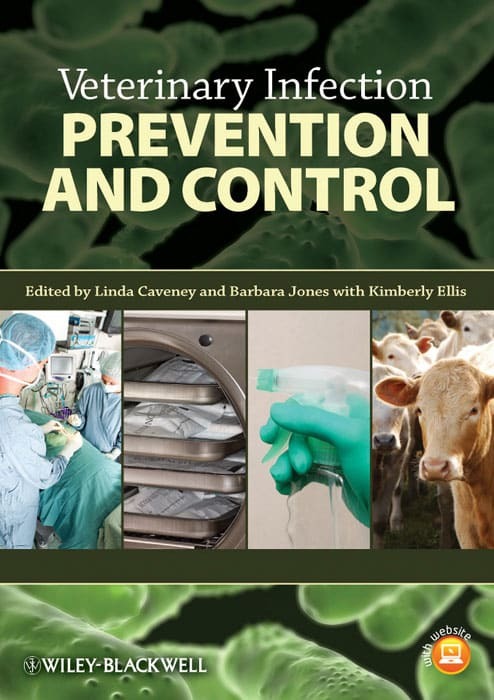 With background information on pathogens, bacteria, and disease transmission, the book focuses on specific infection prevention strategies, including disinfection, sterilization, and isolation. A companion website provides review questions and the figures from the book in PowerPoint. Veterinary Infection Prevention and Control gives practicing veterinarians, technicians, and practice managers in both small and large animal facilities the tools they need to successfully develop an infection-control program.